I'm digesting better and feel healthier! 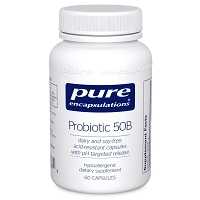 I was looking for an affordable probiotic maintenance product that was affordable and still a good quality. This one seems to do the trick for me. 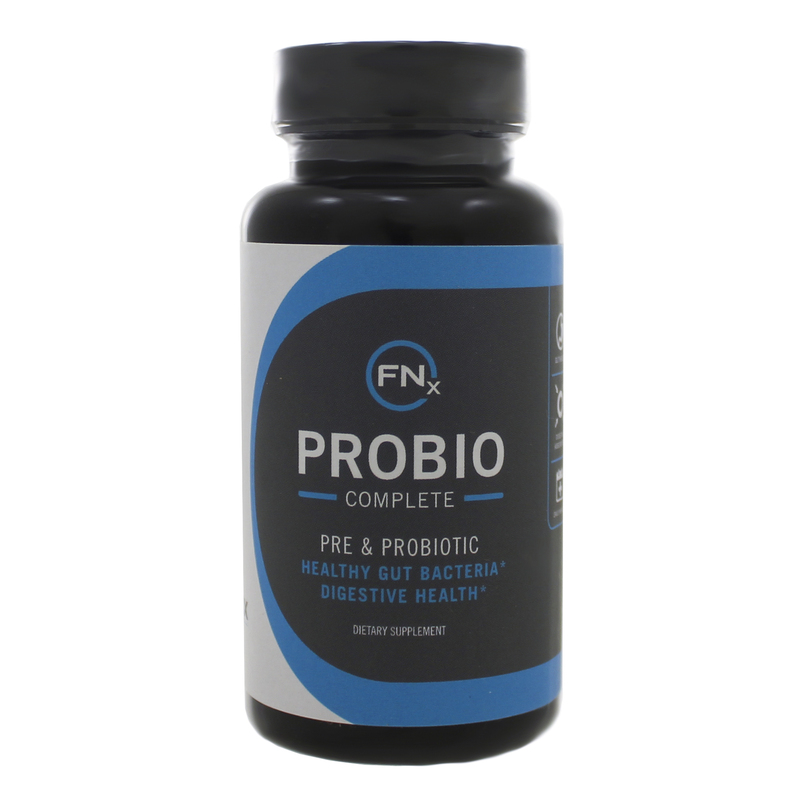 I really love that it includes a prebiotic blend to help aid in good bacteria growth in the gut. Take 2 Capsules a day, or as directed by your health practitioner. 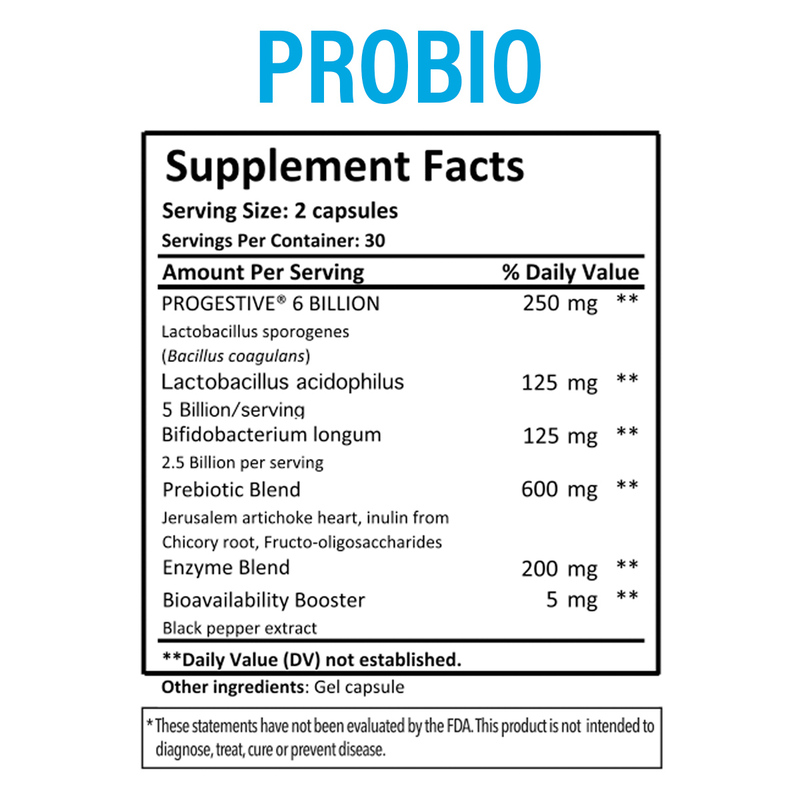 Progestive® 6 Billion (Lactobacillus sporogenes - bacillus coagulans) This is a powerful probiotic. Research shows evidence of bacillus coagulans’ ability to fight off invading viruses & pathogens. Bacillus coagulans typically live in the digestive tract and have been shown to significantly decrease Irritable Bowel Syndrome (IBS), symptoms of abdominal pain, bloating, vomiting, diarrhea and stool frequency (Majeed et al., 2016). Lactobacillus Acidophilus (5 Billion/Serving) Lactobacillus promotes immune system and digestive tract health, aids in the production of lactase, possibly providing a benefit to those dealing with lactose intolerance. 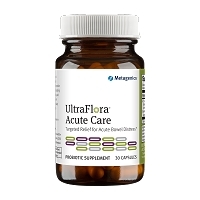 It halts the growth of bad bacteria. There is even research that suggests lactobacillus acidophilus may provide benefits for cardiovascular health by reducing cholesterol (Group, 2015). 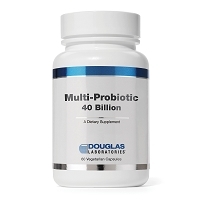 Bifidobacterium Longum (2.5 Billion/Serving) Bifidobacterium longum reduces gastrointenstinal discomfort caused by stress, reduces anxiety and possibly reduces the risk of colon cancer and has the ability to sooth irritation in the body (Group, 2015). Jerusalem Artichoke Heart Jerusalem artichokes contain inulin, a type of prebiotic fiber that has numerous health benefits due to its medicinal properties. Many of these health effects can be attributed to the ability of inulin to stimulate the growth of bifidobacteria. Naturally present in the large intestine, bifidobacteria fight harmful bacteria in the intestines, can prevent constipation, reduces symptoms of Irritable Bowel Syndrome (IBS), improve symptoms associated with traveler’s diarrhea, control symptoms of ulcerative colitis and give the immune system a boost (Arunachalam & Gill, 2000). Inulin from Chicory Root If you have ever eaten a packaged food that bears the claim “high in fiber,” there is a good chance you have eaten chicory root fiber. Chicory root has been found to reduce stress, combat inflammation, protects the liver, may prevent and delay the onset of diabetes, helps manage osteoarthritis and aids in gut health (Axe, 2016). Chicory root is a source of inulin, a type of soluble fiber. Inulin passes through the body undigested. 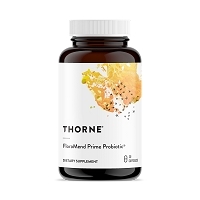 It is considered a “prebiotic,” promoting healthy bacteria growth in the gut and nourishes colon cells and produces more appetite-controlling hormones in your body (Mercola, 2016). Fructo-Oligosaccharides Fructo-oligosaccharides are used for constipation, travelers’ diarrhea and high cholesterol. It passes through the colon where they increase bowel mass and promote growth of beneficial bacterial. Ingestion of fructo-oligosaccharides has been shown to improve bowel function for infants, adults and in the elderly (Niittynen, Kajander, & Korpela, 2007). Enzymes can simply be defined as proteins that act as catalyst for various kinds of biochemical reactions without themselves undergoing any kind of change. They enhance the rate of chemical reaction, which otherwise would take place very slowly. Enzymes are produced in the bodies of all living organisms. Enzymes help ease the process of digestion. Black Pepper Extract Black pepper extract has a positive effect on absorption of nutrients from the intestine. This effect is known as "bioenhancement.". Piperine may be useful for people who suffer from conditions that cause malabsorption of nutrients and people suffering from malnutrition. Black pepper has been used for centuries to treat gastrointestinal distress, inflammation, pain and other disorders (Park et al., 2012). Park, U. H., Jeong, H. S., Jo, E. Y., Park, T., Yoon, S. K., Kim, E. J., Jeong, J. C., & UM, S. J. (2012). Piperine, a component of black pepper, inhibits adipogenesis by antagonizing PPAR? activity in 3T3-L1 cells. Journal of Agricultural and Food Chemistry, 60(15), 3853-3860.